Until 20 years ago, Zimbabwe was the place to see the Victoria Falls. It has arguably the best views of the falls, especially if you are visiting during the dry season. It is from Zimbabwe that you can best see Main Falls and the Devil’s Cataract. You can also look across to Zambia and see the Eastern Cataract. The Falls are more than 1700 metres wide and 100 meters high and are breathtakingly when you are photographing them on foot from within its spectacular rain forest. But photographers should also be wary not only of the deadly dangers of slipping by getting just too close to the edge but also of damage to cameras. During the months of March and April there is so much water that it comes in all directions, and umbrellas are simply not good enough protection. Generally, the waterfall rainbow is at its best in the mornings until about 10 am, at which time it starts to rise out of the gorge. The view from above is also stunning—take advantage of the options of flying over the falls. The lodge is a good base from which to explore Victoria Falls National Park and Victoria Falls, away from the bustle of town. 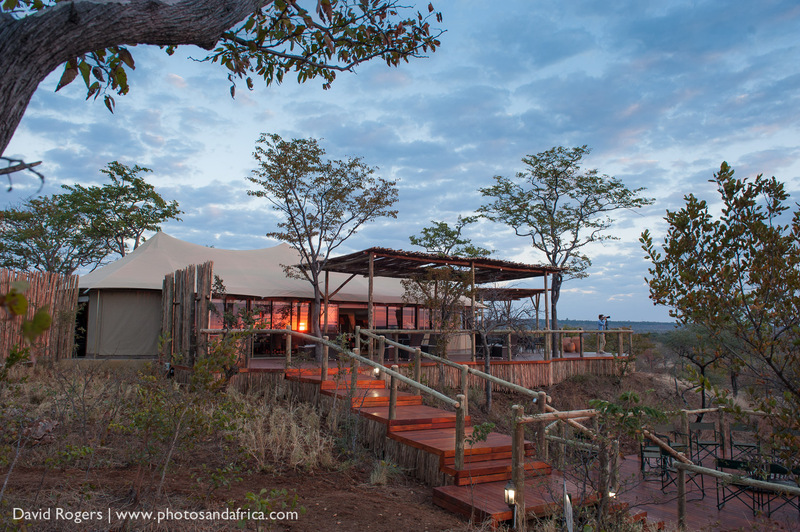 The lodge is in a private concession in the bush with more of a classic safari camp feel than the big hotels. Birding and nature walks are available on the concession, as are great views of the gorge.